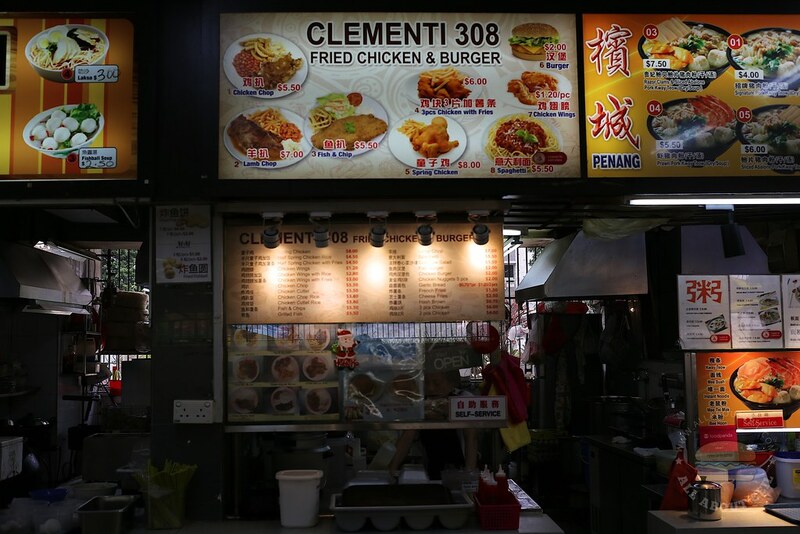 This stall used to be at Block 308 Clementi Avenue 4 for many years but they closed down due to the increase in rental. They were quite popular then and was known for their big serving size before moving to this coffee shop in Ang Mo Kio for about 2 years. The menu consists of the usual Western fare including fried chicken and burgers. We were there on Sunday at 12.40 pm for lunch. The light of their signboard was still off. I went to the stall and asked, "How much longer to wait?" The lady boss answered from the back of the stall, "Another 20 minutes more." I went back at about 1 pm, the light of their signboard was still off. The lady boss recognized me, she said, "What is your order?" 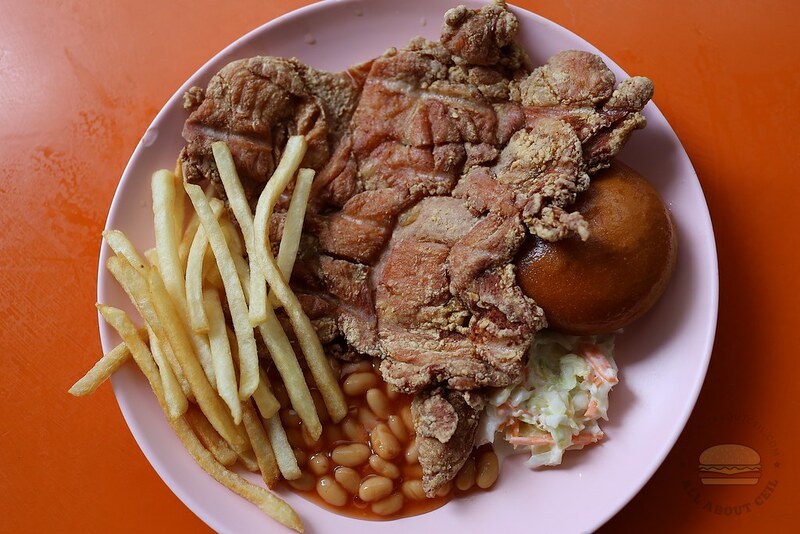 and I replied, "Chicken Cutlet ($5.50) and Chicken Chop ($5.50)." I left her with my table number. It was served in 5 minutes by the friendly lady boss, both orders came at the same time. The Chicken Cutlet was a massive piece, thinly sliced and perfectly deep-fried to the desired crispiness with no greasiness. It was accompanied with a bun, fries, coleslaw, and baked beans. The coleslaw was amongst the nicest that I have tried, it tasted fresh with a crunchy texture. 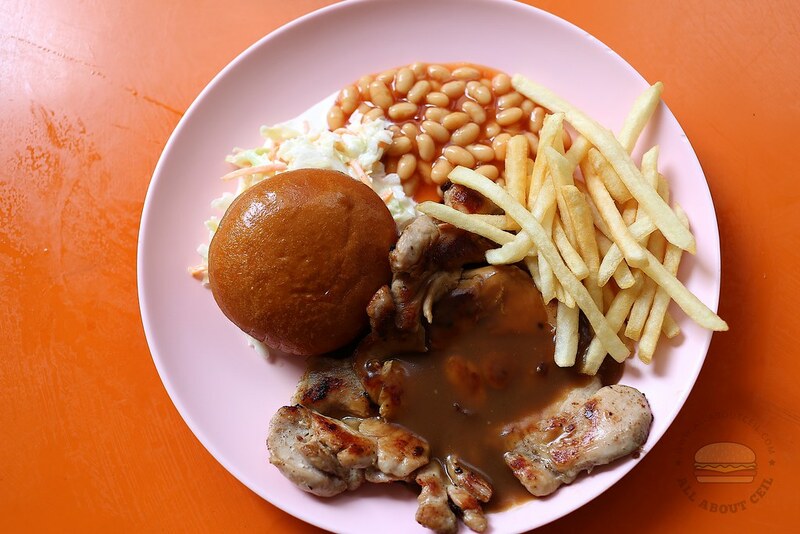 The Chicken Chop also came with a bun, fries, coleslaw, and baked beans. It was nicely charred and served with brown sauce. My dining companion said, "This is a much better choice as compared to the other Western food stall in that coffee shop across the road. The portion is bigger and cheaper in price, tastier too."